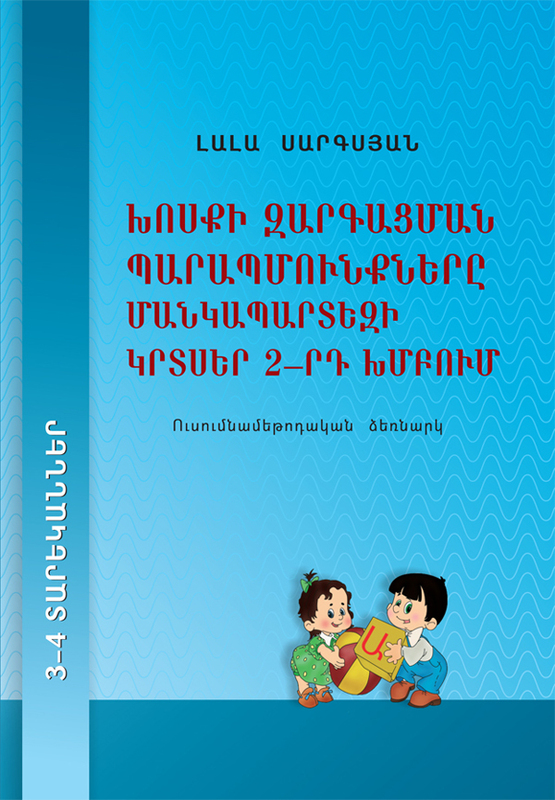 This handbook is designed for the junior 2nd namely 3-4 age group teachers as a basic handbook for everyday practice. It will assist the teachers to organize and arrange the speech development courses among 3-4 year olds. The handbook is very practical and includes a big number of different sample-tests to help the teacher to set educational goals in correspondence with sound methodology, to choose among different approaches and pick subjects without setting any boundaries on creative thinking. The book refers to all fields of speech development educational program and a number of speech problem solutions are put forward.